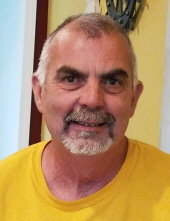 Thomas J. Richards, age 55, of Sullivan, Missouri, passed away on Wednesday, March 27, 2019 at Missouri Baptist Hospital in Sullivan. Thomas James Richards was born on August 8, 1963 in Bonne Terre, Missouri, the son of Walter Edward and Letty Mae (Boyster) Richards. He grew up and attended school in Potosi, MO. After high school, Thomas honorably served his country in the United States Army until his honorable discharge. Thomas was united in marriage to Pamela Flanagin on January 8, 2000, and together, they raised their five boys: Phillip, Michael, Justin, Bryar, and Drake. He was employed as a machinist for Ace Manufacturing for many years. He was well known for his entrepreneurial ideas and endeavors through the years. Thomas liked being outdoors, where he would enjoy climbing, camping, caving, and cooking. He also enjoyed building with his hands. Thomas was known for his great sense of humor. He loved spending time with his boys and his granddaughters, and he loved his dogs. Thomas will be sadly missed by his family and friends. Thomas is survived by his wife, Pamela L. (Flanagin) Richards of Sullivan; five sons, Phillip Richards and wife, Amelia, of Knob Noster, MO, Michael Richards of Osage Beach, MO, Justin Richards and fiancé, Cecelia Veninga, of Titusville, FL, Bryar Bequette and fiancé, Brooke Oostendorp of Wentzville, MO, and Drake Bequette and wife, Makayla, of Jacksonville, NC; his mother, Letty Mae Richards of Desloge, MO; in-laws, George and Virginia Flanagin of Sullivan, MO; one brother, Buster Richards of Potosi, MO; two sisters, Sandy Bryan and husband, Frank, of Potosi, MO, and Della Sanderson and husband, Larry, of Potosi, MO; three grandchildren, Naomi Richards, Madison Richards, and Presley Bequette; numerous nieces & nephews, other relatives and friends. He was preceded in death by his father, Walter Edward Richards. It was Mr. Richards wish to be cremated. No services are to be held at this time. To send flowers or a remembrance gift to the family of Thomas J. Richards, please visit our Tribute Store. "Email Address" would like to share the life celebration of Thomas J. Richards. Click on the "link" to go to share a favorite memory or leave a condolence message for the family.